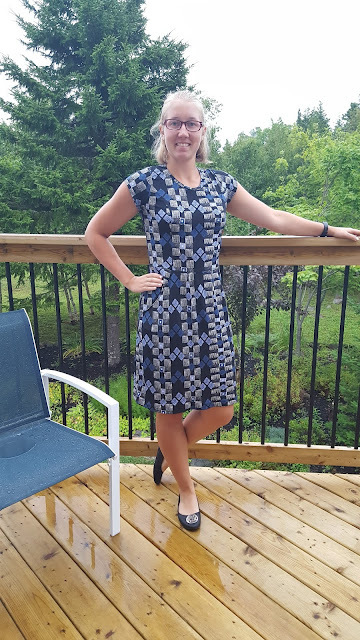 I finally finished the Charleston dress that I cut out almost 3 months ago (give or take, I don't actually remember). When I bought this material originally, it was for a maxi skirt. Since then, I have lost interest in maxi skirts for a variety of reasons (mostly when I walked around with them I hiked them up anyway because I take really long strides and get warm quickly), and so I repurposed the fabric into iteration 2 of the Charleston dress. I wanted to try a version with the sleeved bodice and the A-line skirt with pockets, and although this fabric was a little flimsy for that, I'm happy with the result. 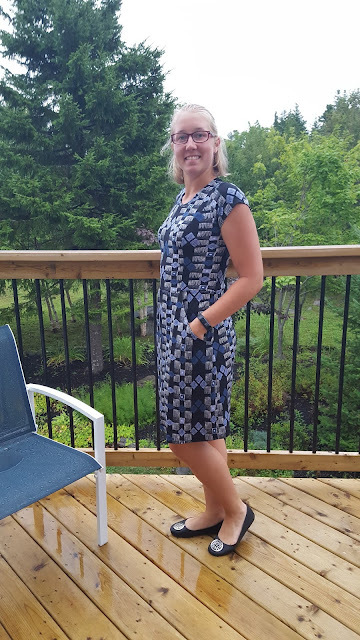 The goal for this dress was a work appropriate dress with pockets, and to finally get a neckband right. Mission: Accomplished! Once I finished it, I wore it for 4 out of the next 6 days, in part because I like it and in part because I just got rid of most of my other dresses in the great purge of 2016. Thank you to my lovely sister for taking these pictures, and to my lovely dad for letting us borrow his phone because it had the best camera, and no thank you to Ally for leaving me to go to the Czech Republic for a few weeks. Modifications: Added 2 inches to the body, 3 inches to the skirt, increased the size of the armsythes to accommodate my shoulders properly, and graded in at the waist. Next time I will add another inch to the body, the waist hits a little higher than I would like. Learning: I finally got the neckband right! I just didn't bother pinning it before sewing, and stretched it pretty evenly around as I sewed so that it lay flat. This was my first time adding sleeves to a garment, and it was easier than I thought it would be. Basting everything together to check fit and keep things in place was one of my best discoveries ever, it might take some extra time up front but is totally worth it. Next up: Chino pants! This new discovery of sewing pants that fit me is life-changing, and I want to make more. What a cute print, and the shape of this dress looks really nice on you! I love the fit and the pockets! 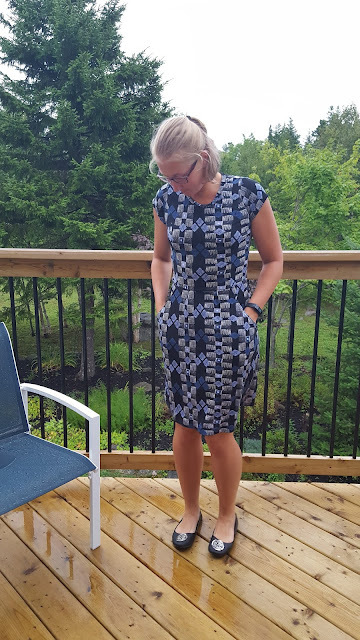 I would love to wear such a great dress to work!